Abigail Van Buren is an interdepartmental program assistant at the Council on Foreign Relations in New York. On December 19, 2018, Sudanese demonstrators took to the streets of Atbara after the government reduced bread subsidies, ostensibly because of a rise in inflation. 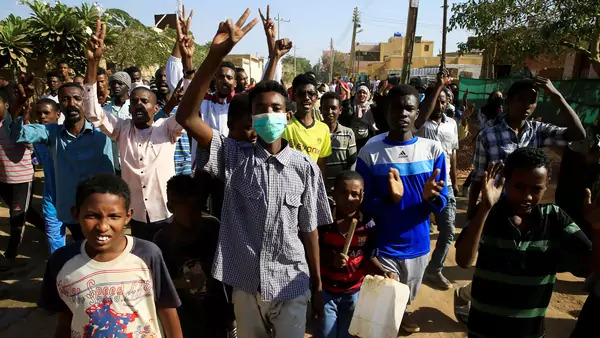 From Atbara, the protests spread to al-Qadarif, Omdurman, and Khartoum, eventually spanning thirty-five cities and fifteen of Sudan’s eighteen provinces. In the last six weeks, police have fired tear gas and live ammunition, instituted curfews, arrested journalists, and blocked social media to quell protests. Bashir does not appear to have confirmed this himself. The government puts the death toll at thirty-five, while human rights groups put it at fifty-one. While initially triggered by the cost of bread, the protestors have since directed their anger at President Omar al-Bashir’s rule more generally. Most recently, in 2013, a comparable, youth-led protest erupted after the government reduced fuel and gas subsidies, which evolved into broad calls for solutions to youth unemployment, lower costs of living, and even Bashir’s resignation. Bashir approached this protest with the same tactics he is using today, including media blackouts and police crackdowns. In 2013, those tactics worked, and the demonstrations were quashed in just a few days. Youth unemployment has more or less hovered around twenty-seven percent since then. Bashir could once blame foreign sanctions, but with those gone, he has struggled to explain the country’s dire economic state. The protestors, led by students and other young professionals, only see excuses. The country has an overwhelming young population—61 percent of citizens are under the age of twenty-four. Indeed, the Sudanese Council of Ministers approved a youth empowerment plan last week, which expects to create jobs for over 160,000 young people in the country. During his rallies around the country in the past few weeks, Bashir himself addressed the youth directly when he called upon them for help to build the future of Sudan. Defense Minister Awad Mohamed Ahmed Ibn Auf acknowledged that the current situation in the country showed a schism between young and old and that Sudan “requires intergenerational communication and fair solutions to youth problems and realizing their reasonable ambition.” Prime Minister Moutaz Mousa Abdallah called the protests a "respectable youth movement" and said its voice should be heeded. On February 22, Bashir declared a year-long state of emergency, installing members of the security services as governors and deploying more troops across the country, who continue to use live ammunition against protesters. He also called on parliament to delay the planned amendments to the constitution that would have allowed him to run for another term. Further, his intelligence chief said that Bashir would step down as head of the ruling party and not run in the 2020 election. It appears that the protests could be starting to work.